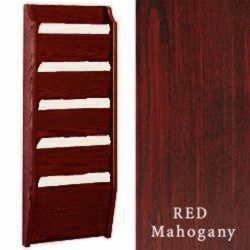 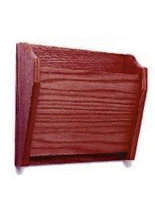 This business file folder holder pocket has an unusual red mahogany finish that catches the eye! 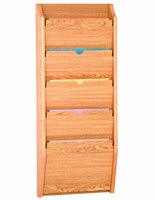 This literature displays fixture has 1-1/4" pockets for patient and client info. 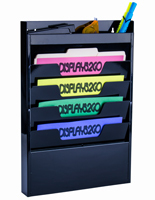 This business file folder holder is a great alternative to acrylic stands when it comes to housing private documents. 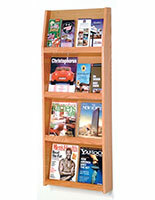 The office displays would be great for a magazine collection, too. 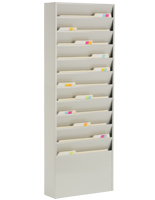 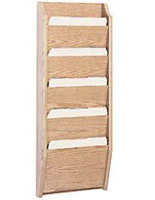 This business file folder holder mounted onto a wall behind a desk or in a reception area makes important information accessible while keeping the confidentiality of patients and clients.